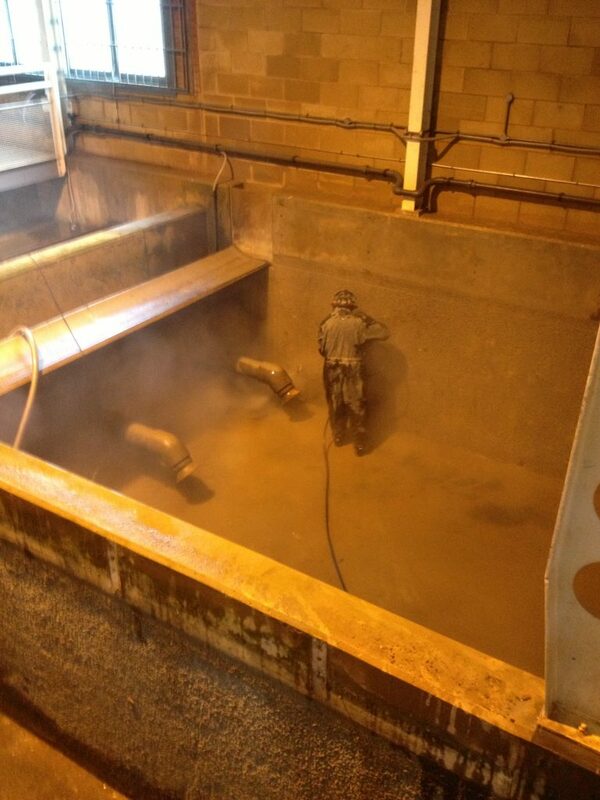 All areas were high pressure jet washed (6000 psi) to remove all weak substrate ready for the application of repacment substrate lost through the long term chemical exposer. 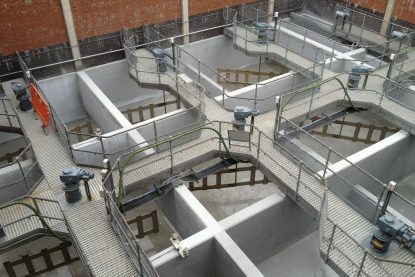 After the cleaning process a sprayed application of Flexcrete RM was applied to resurface the degraded concrete back to its original thickness and surface profile. 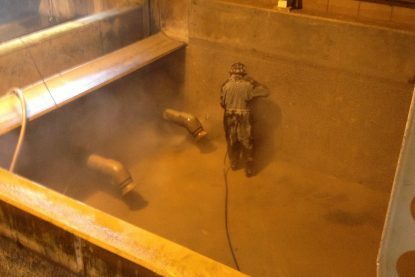 This was then top coated with two coats (2mm finial coating thickness) of Flexcrete 851 polymer modified cementitious protective coating system which will prevent any further chemical attack to the concrete substrate. 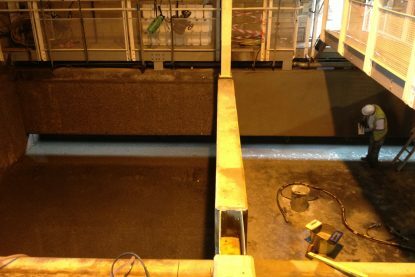 The base areas were cleaned and a spray application of the same Flexcrete 851 was applied in a single coat application to protect and resurface the pitted slab surfaces. 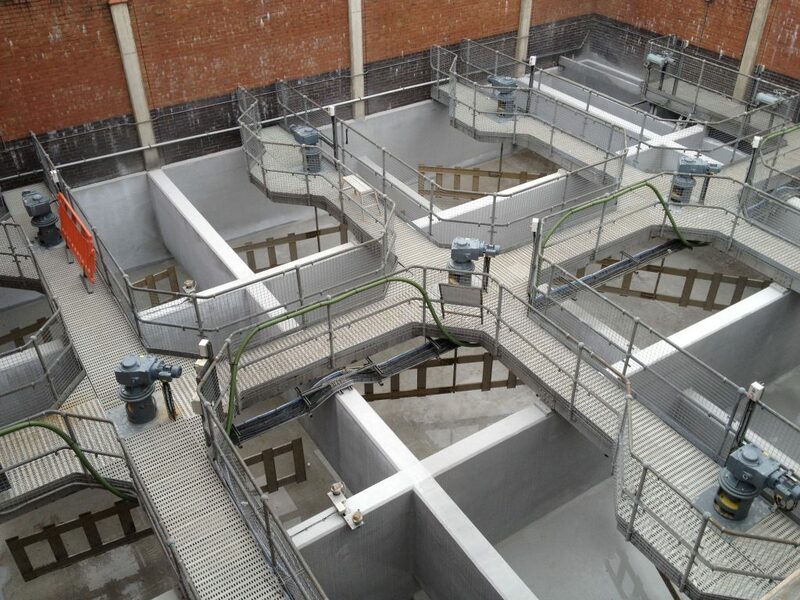 Another successful project undertaken by Ultimate Coatings Limited. 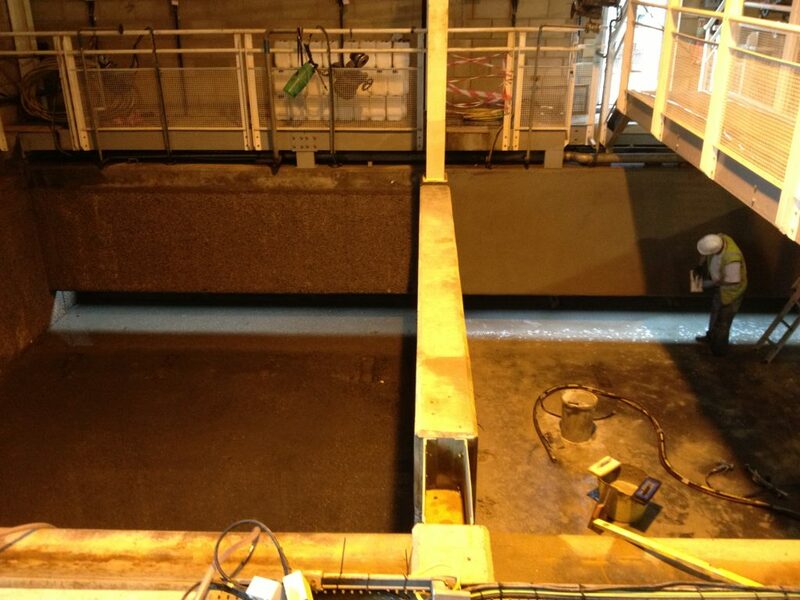 The UK leader in tank, bund and sump lining and in sprayed foam and polyurea solutions.